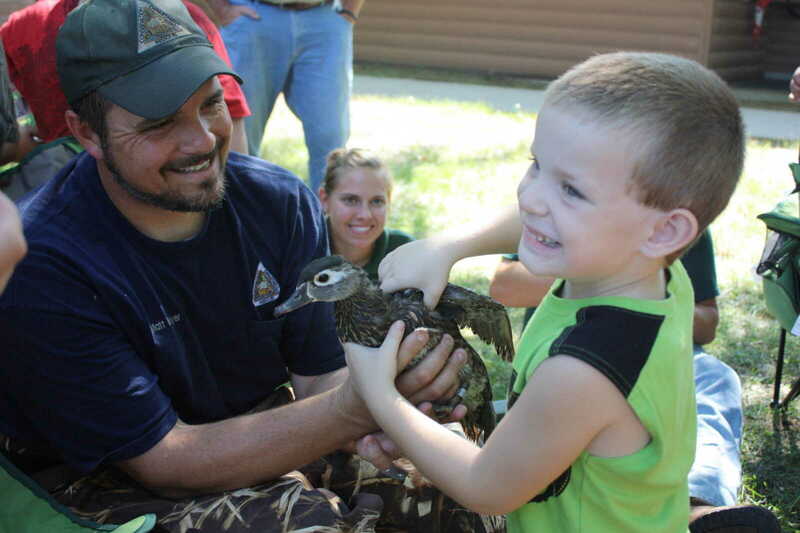 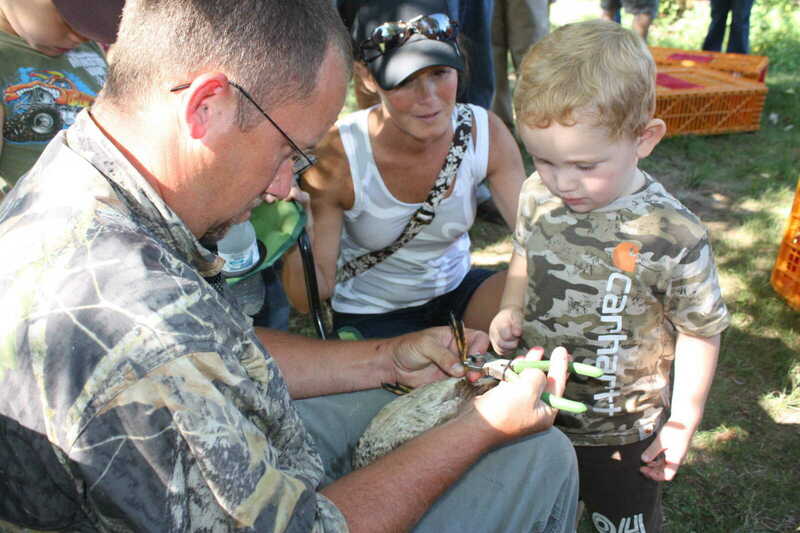 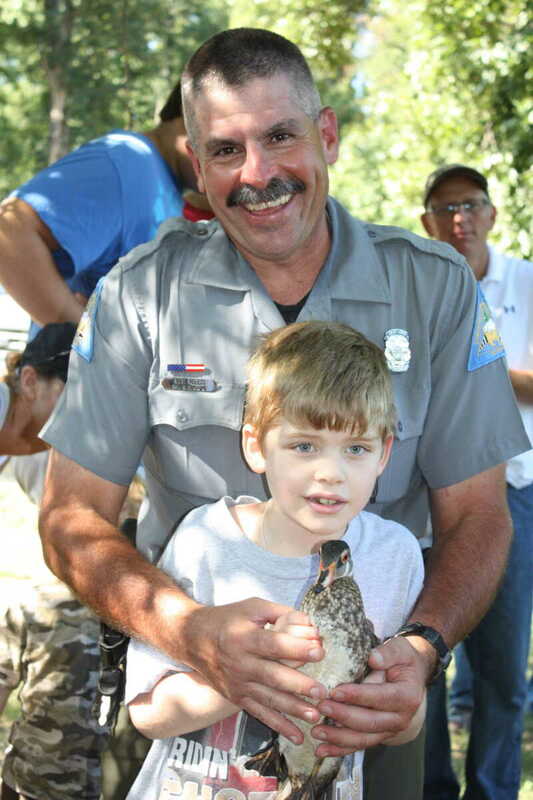 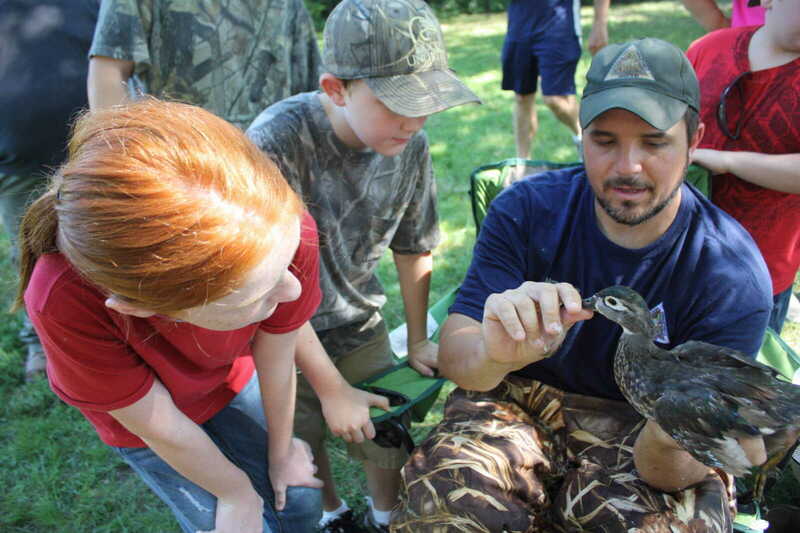 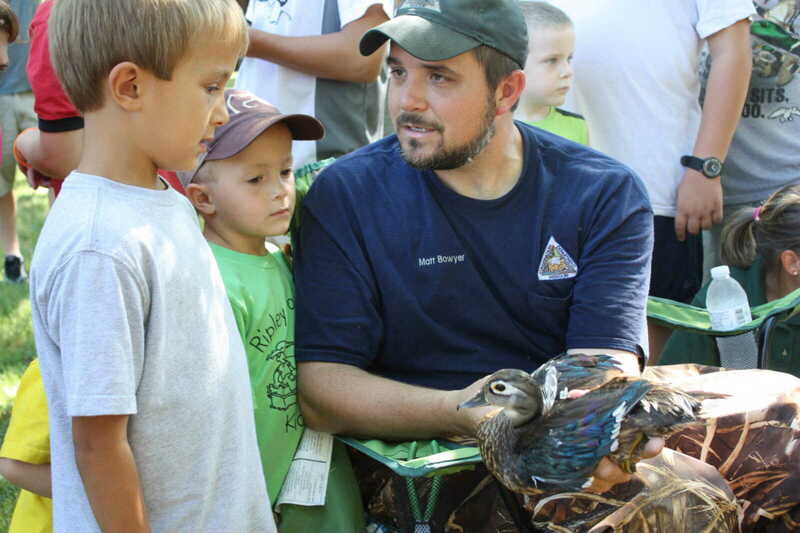 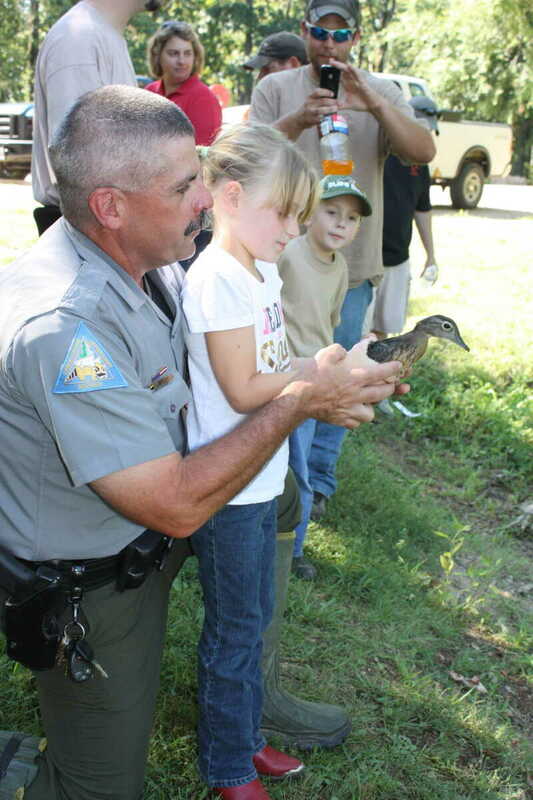 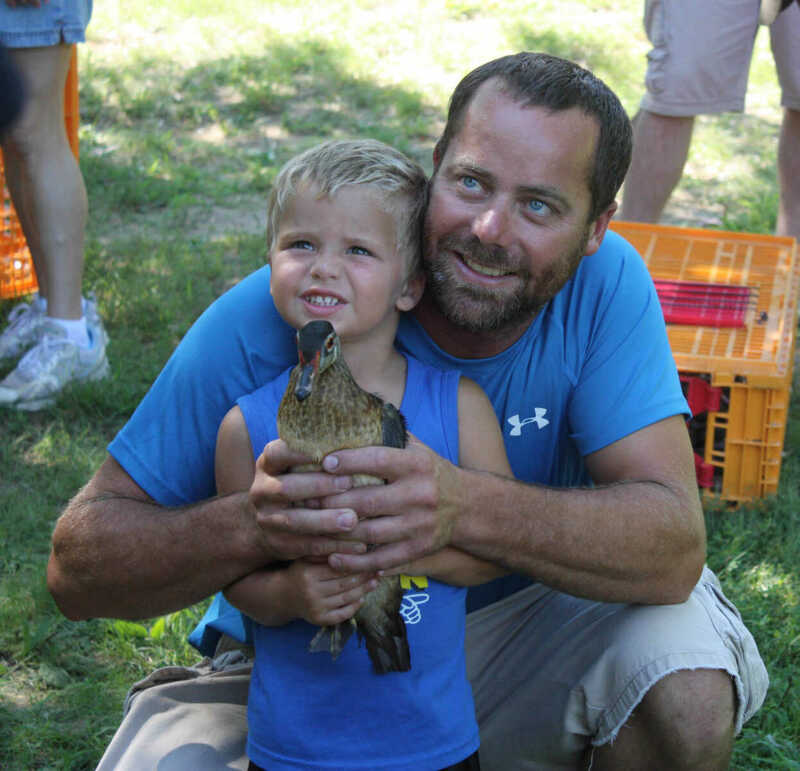 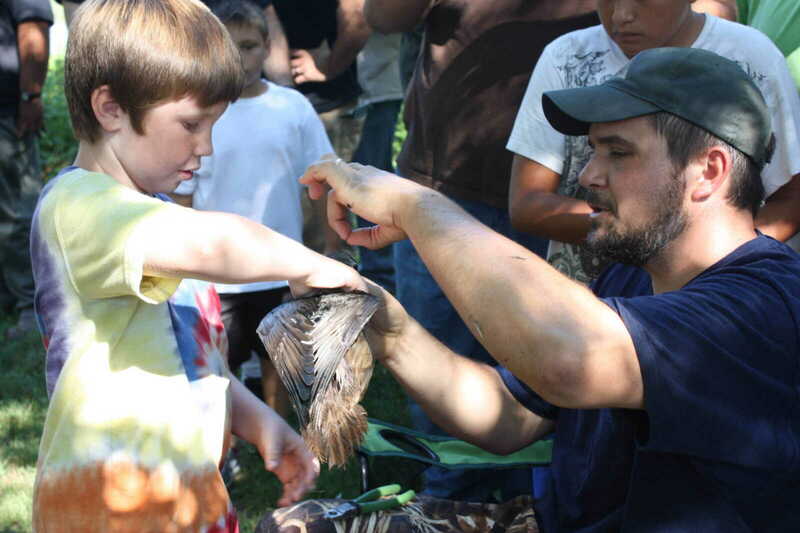 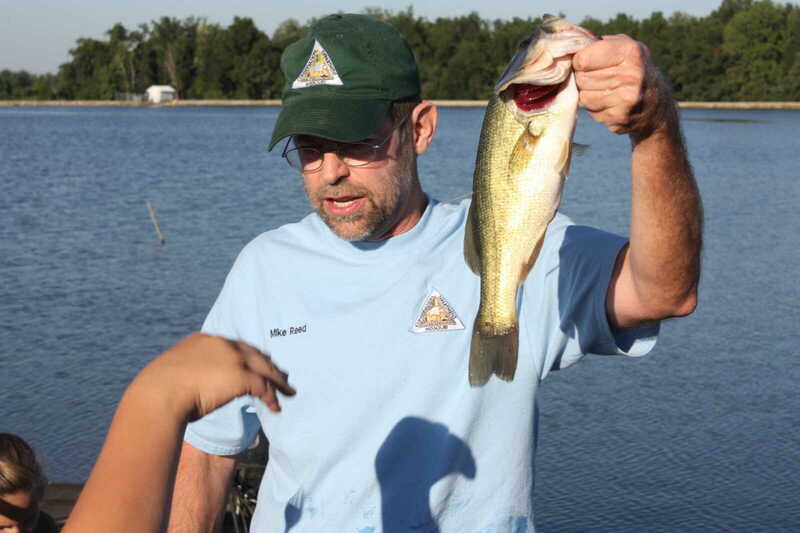 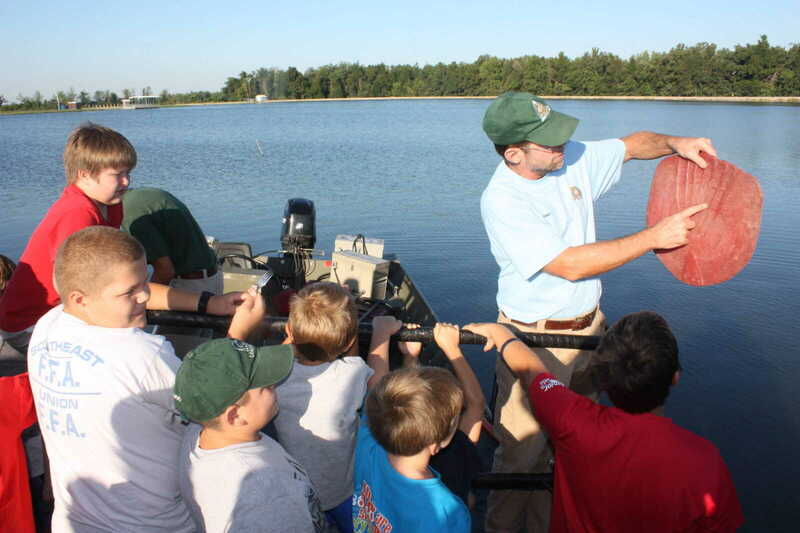 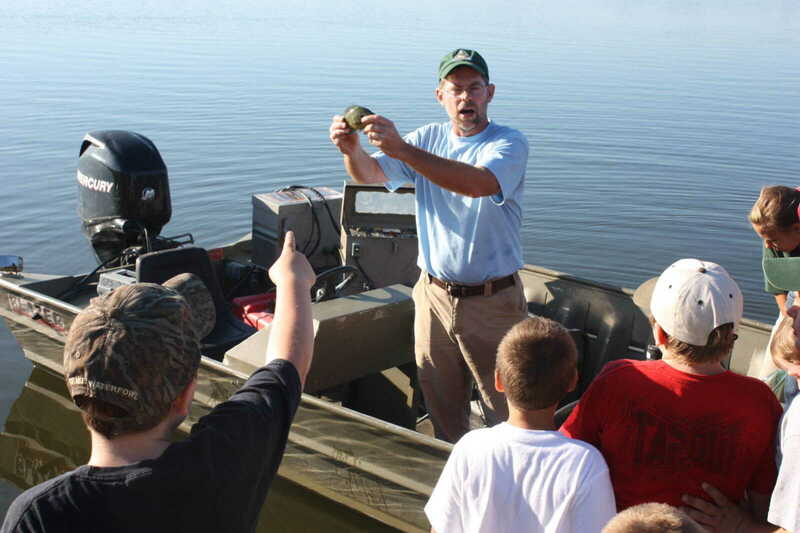 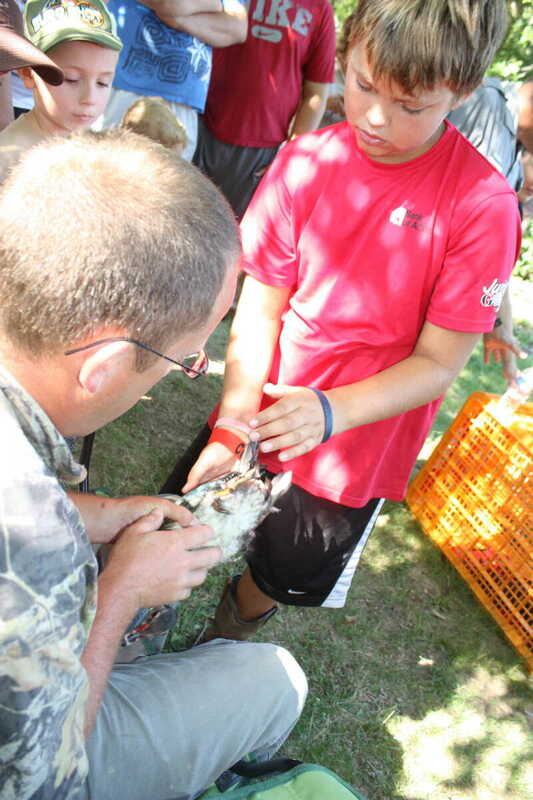 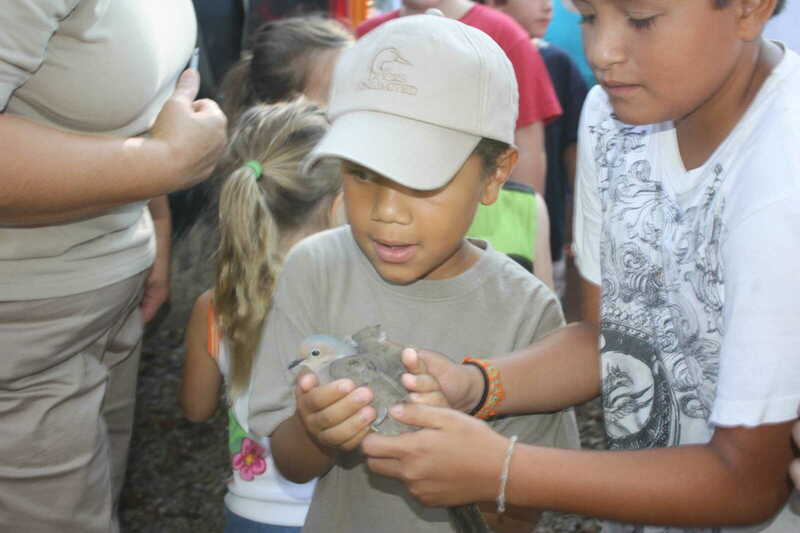 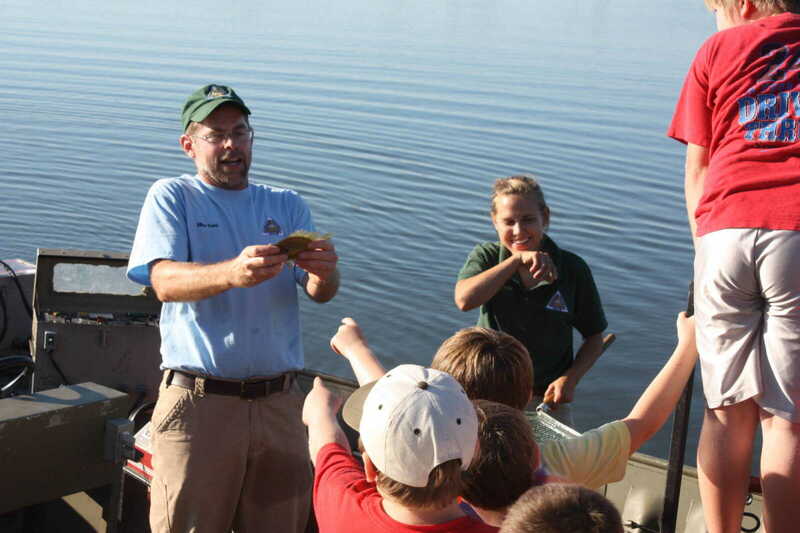 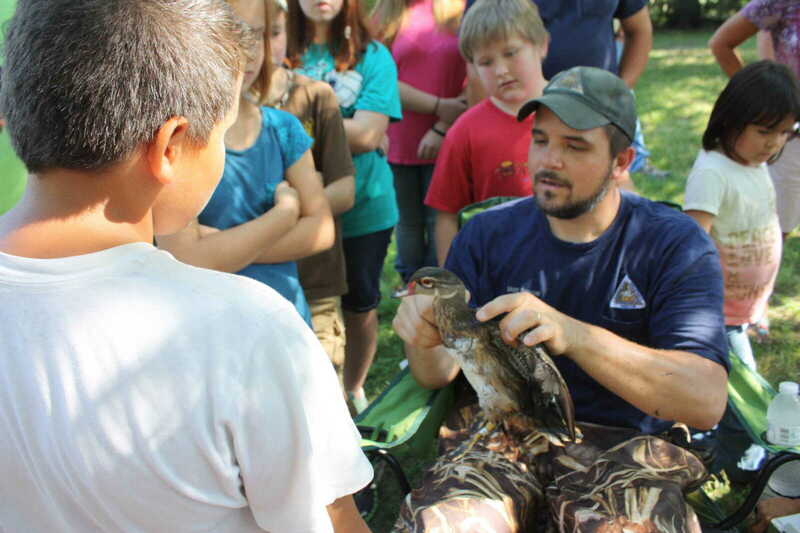 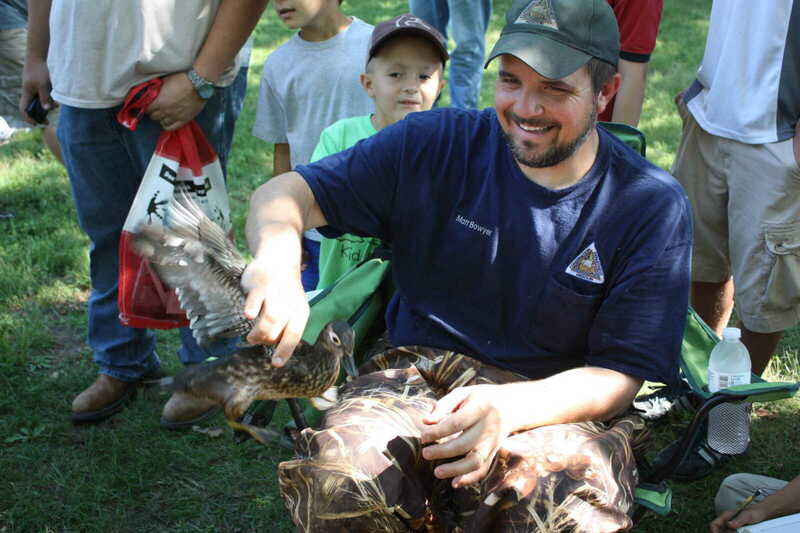 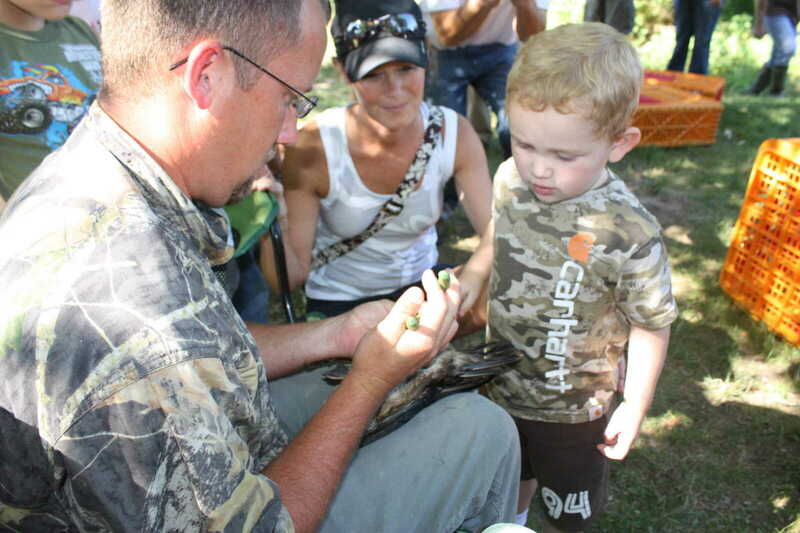 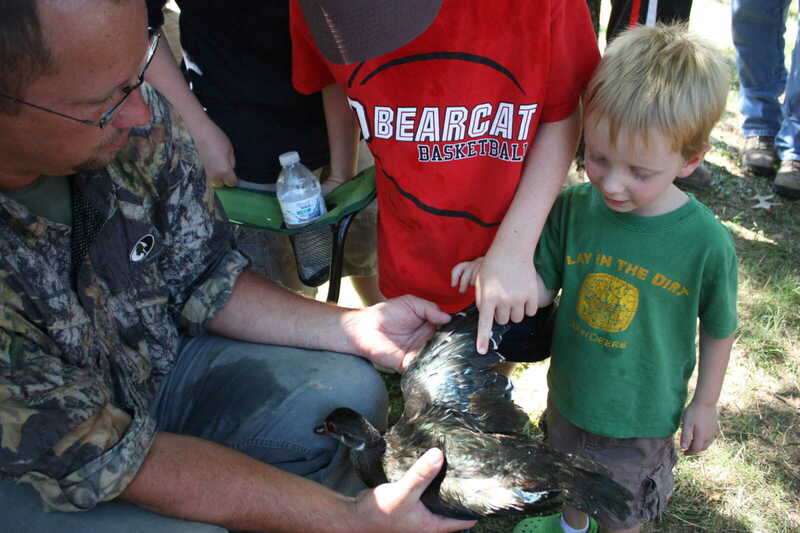 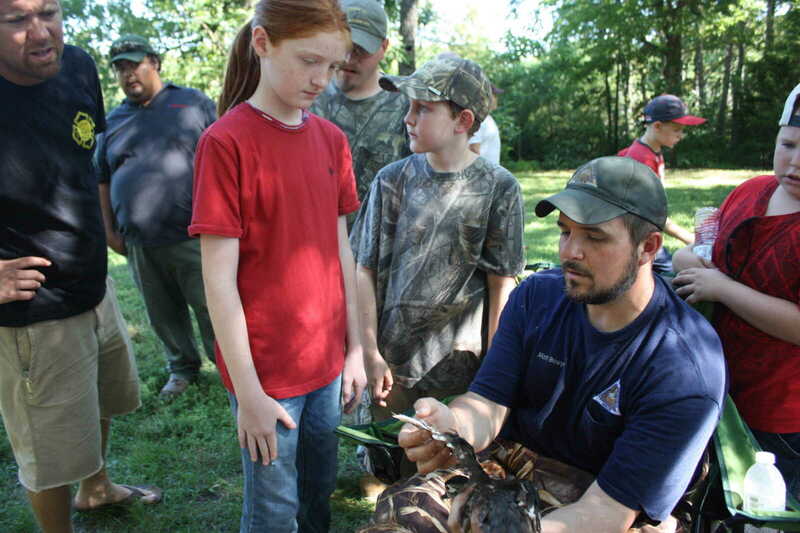 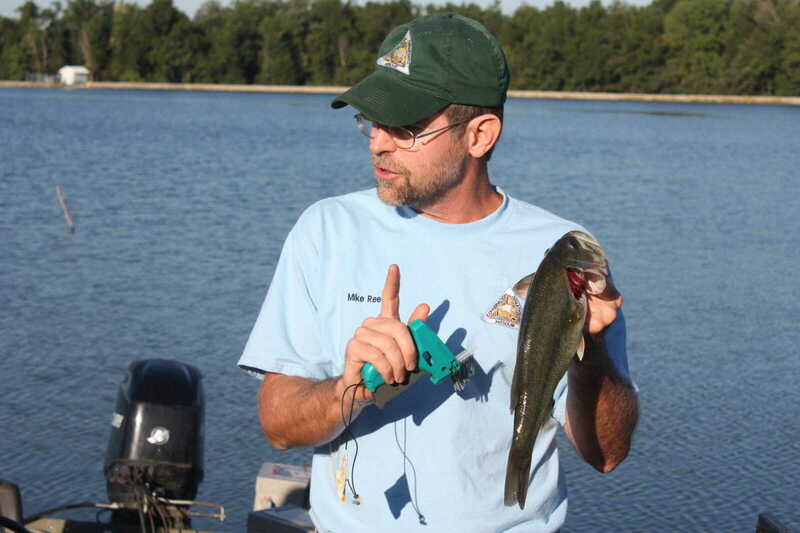 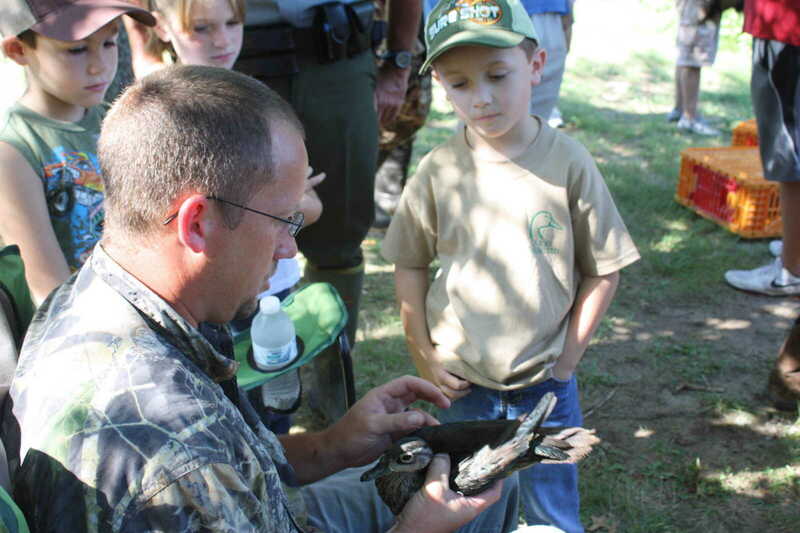 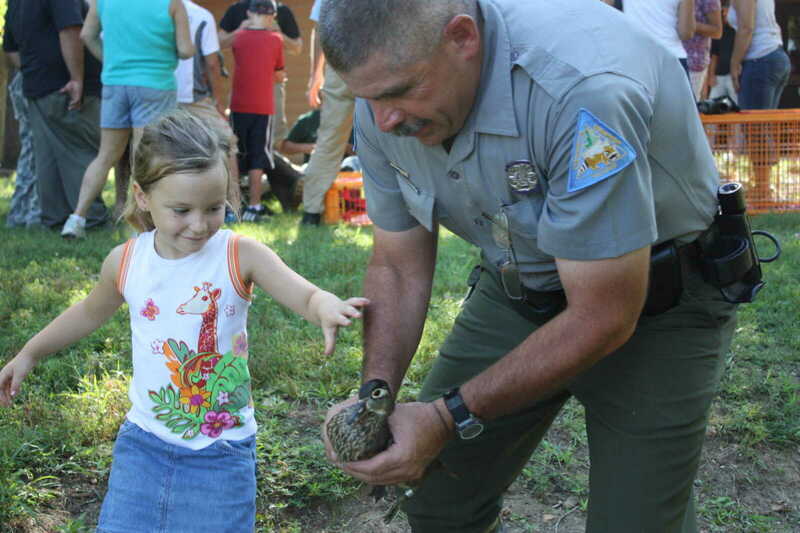 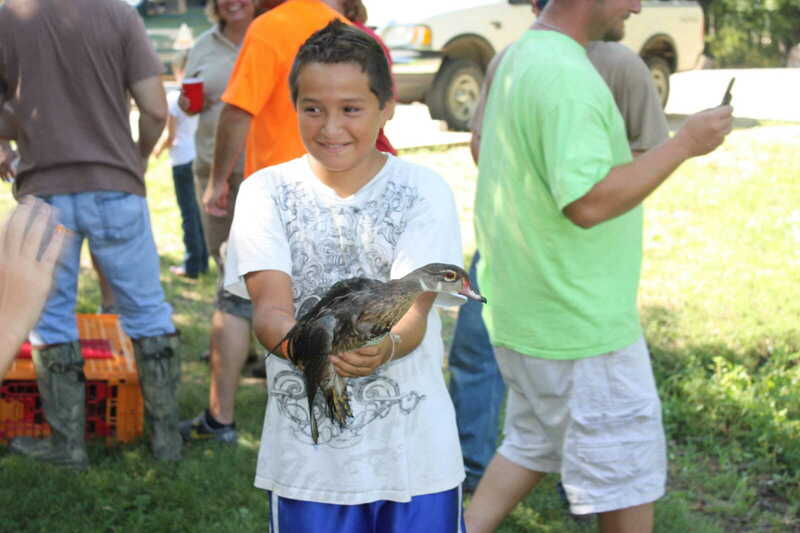 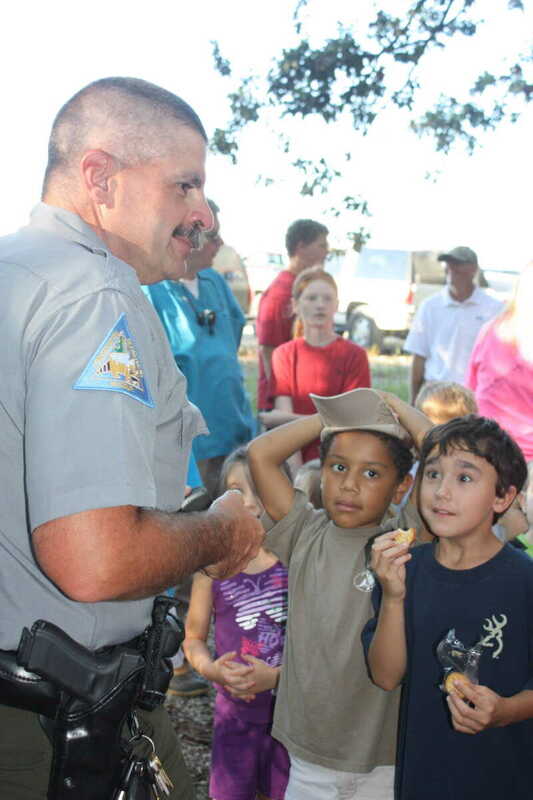 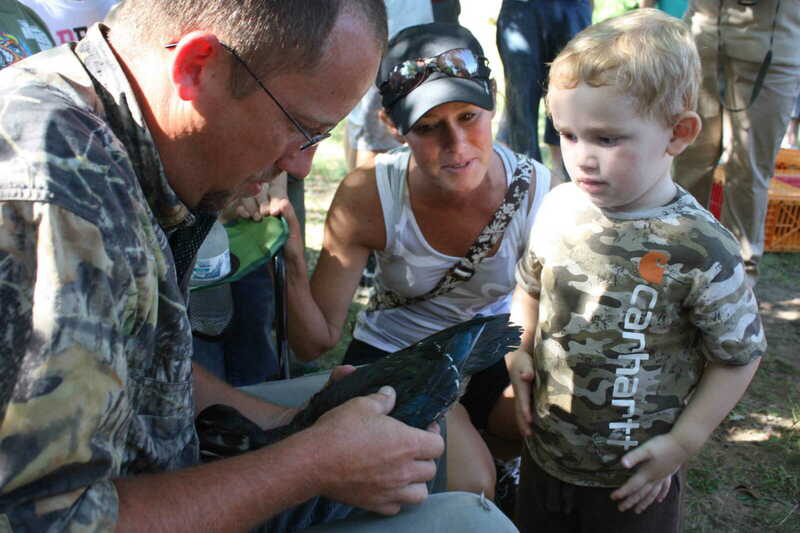 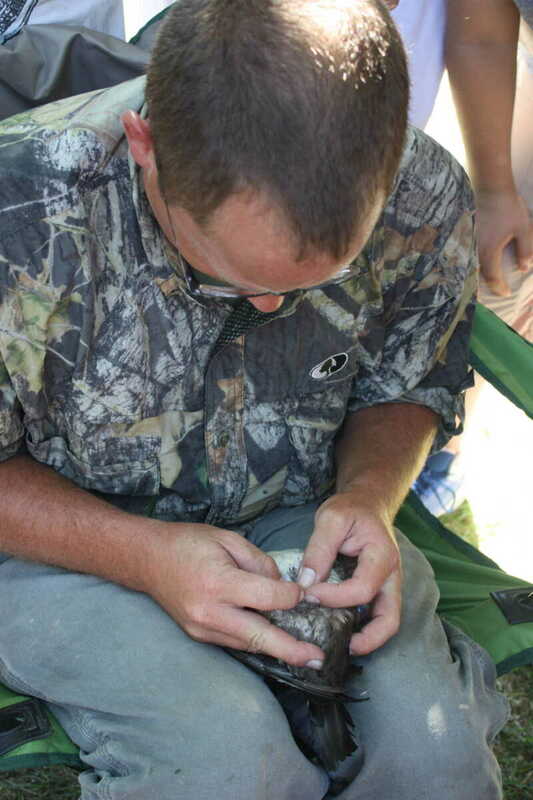 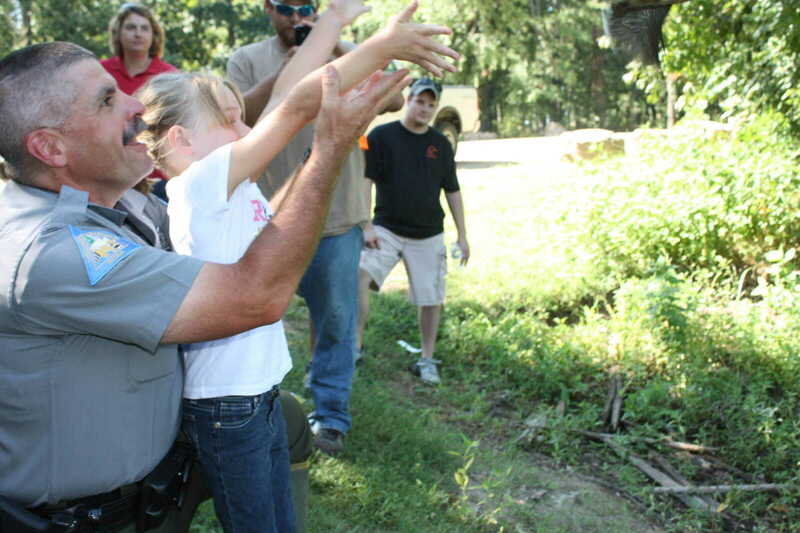 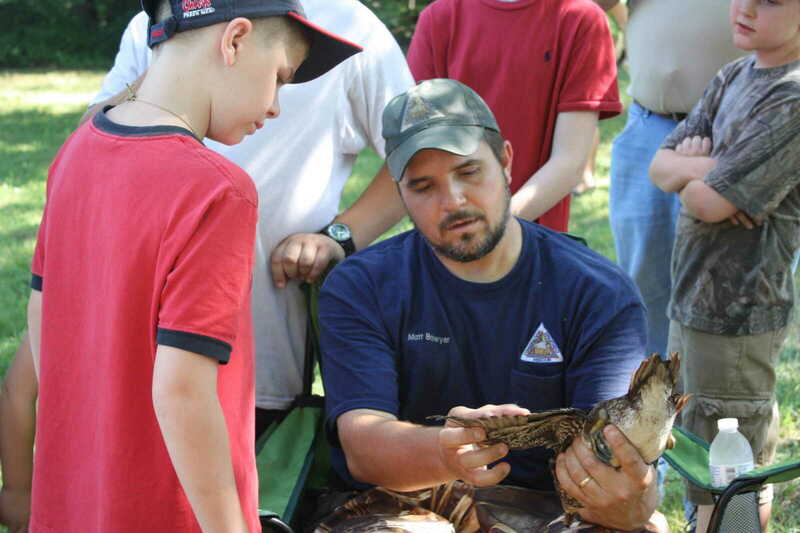 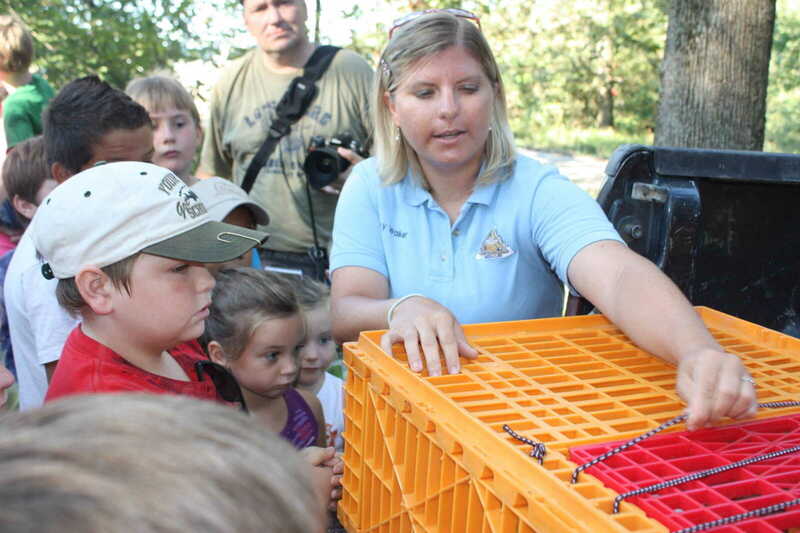 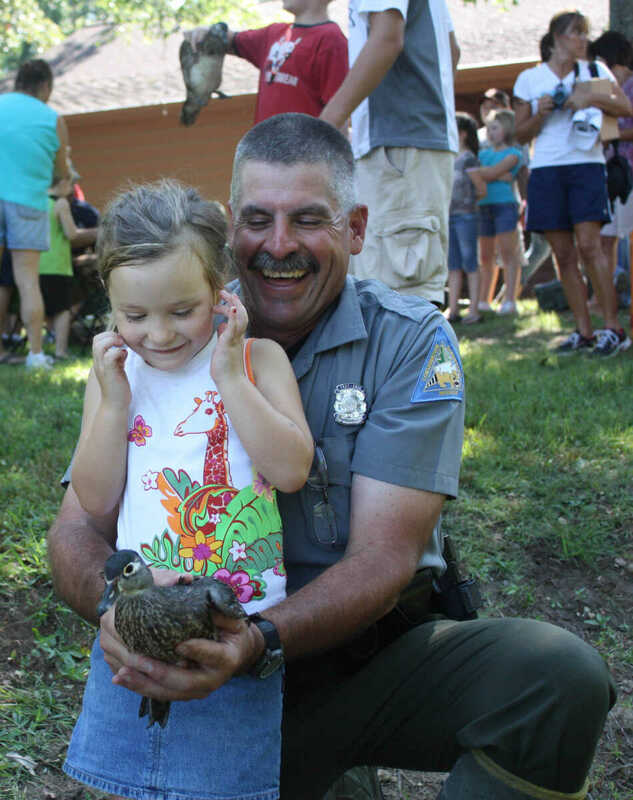 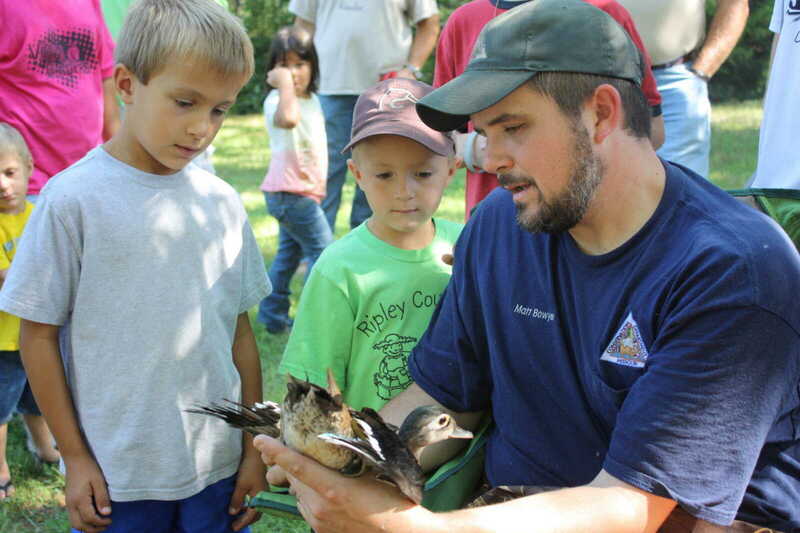 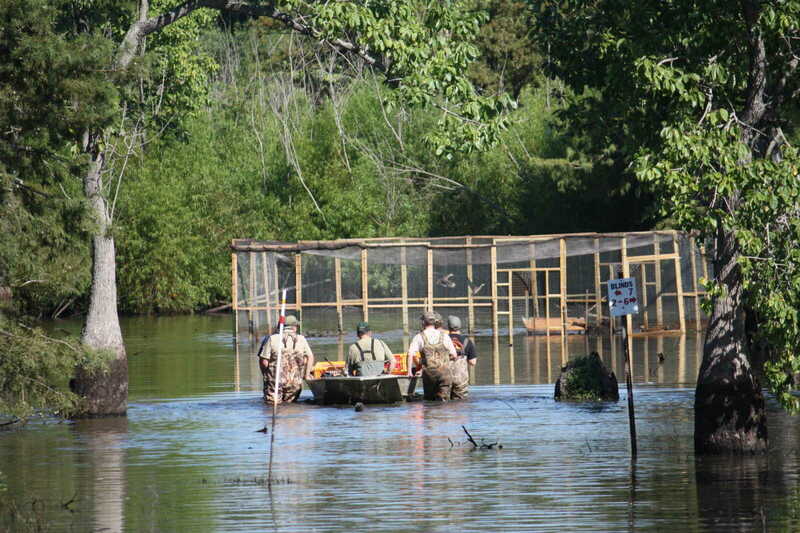 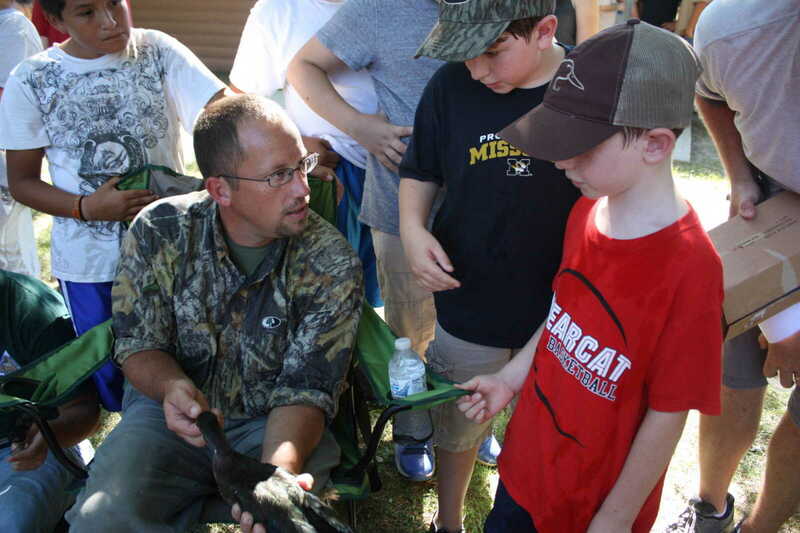 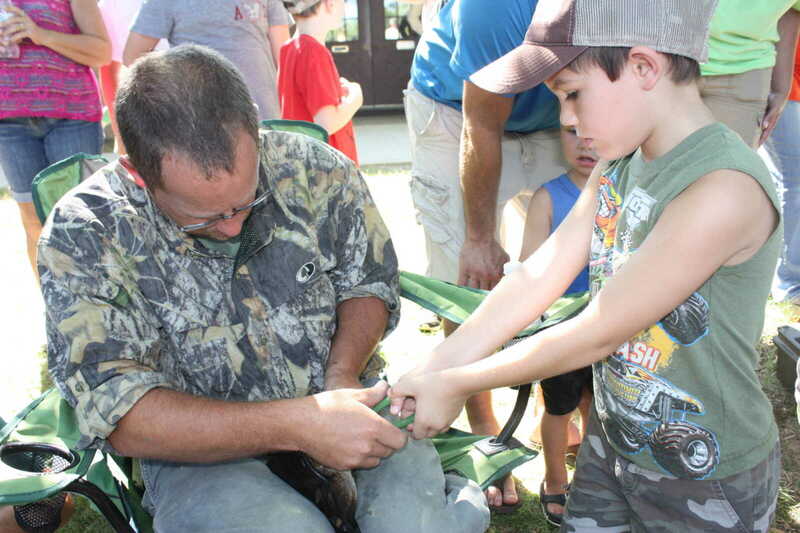 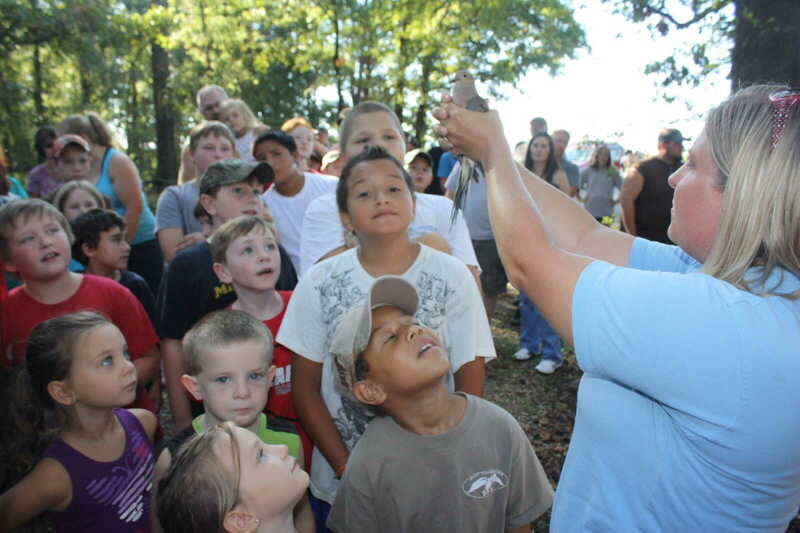 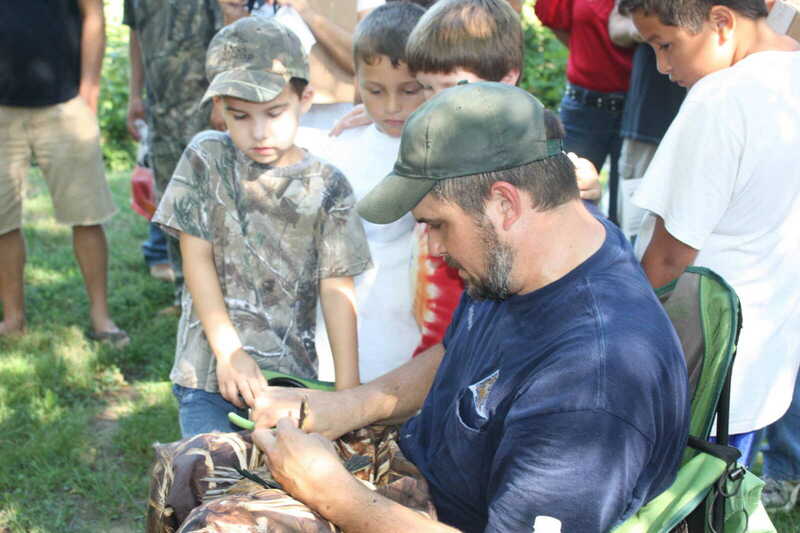 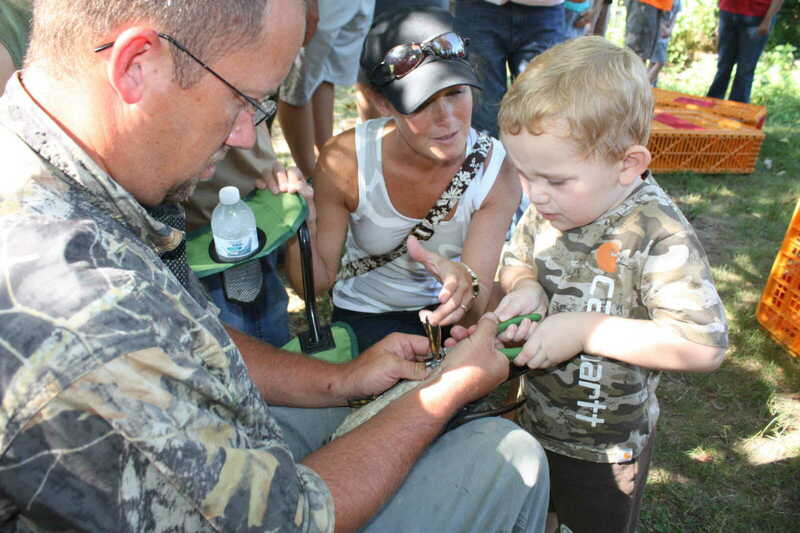 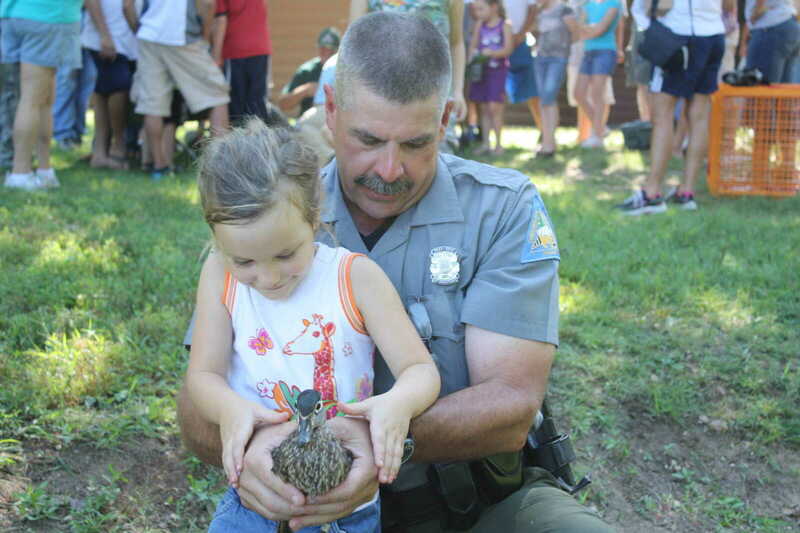 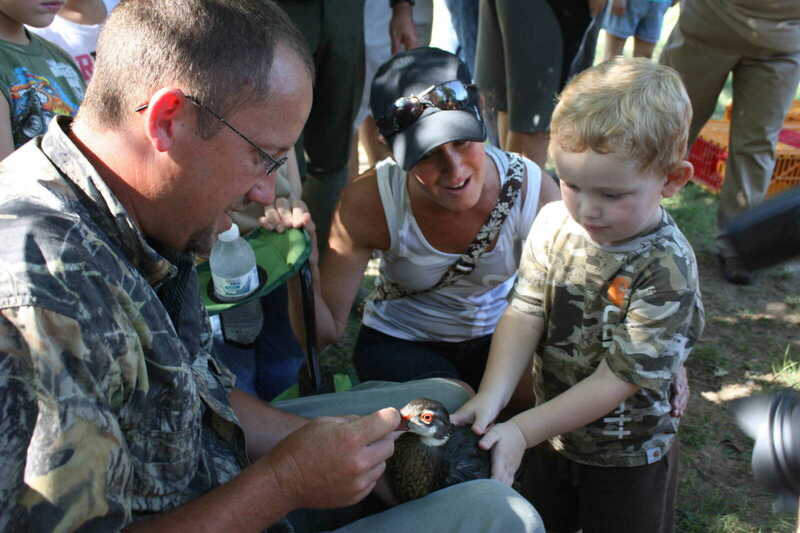 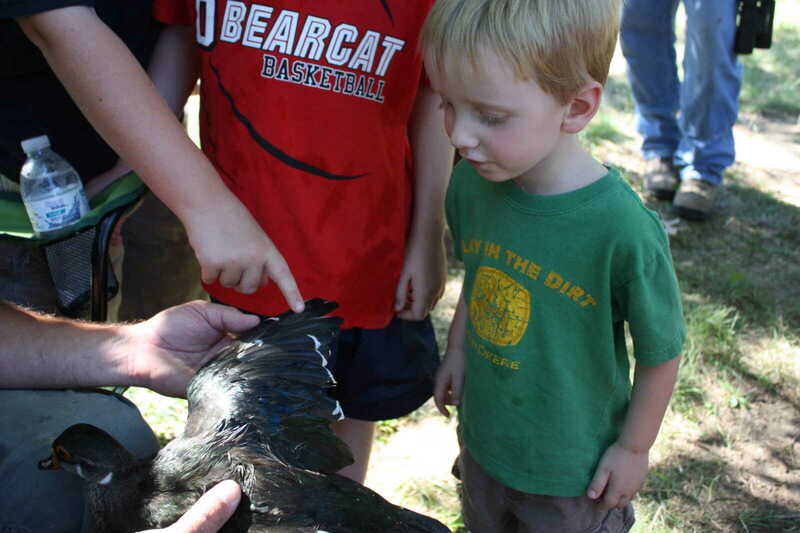 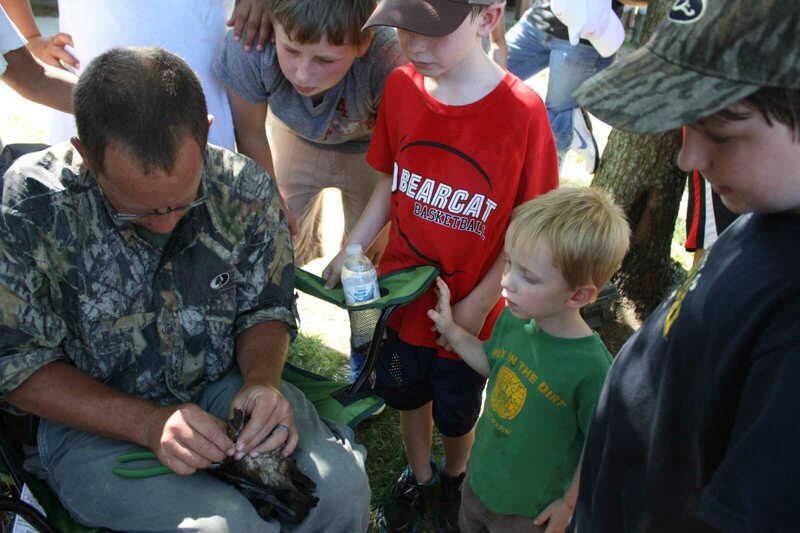 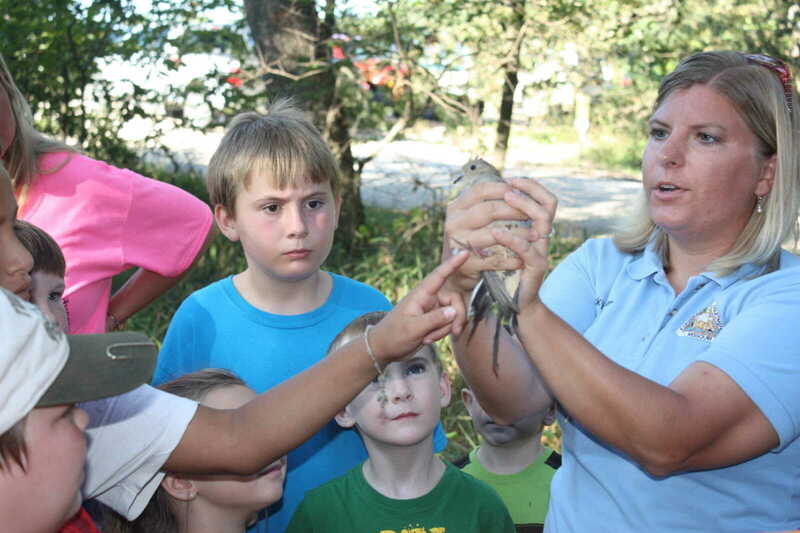 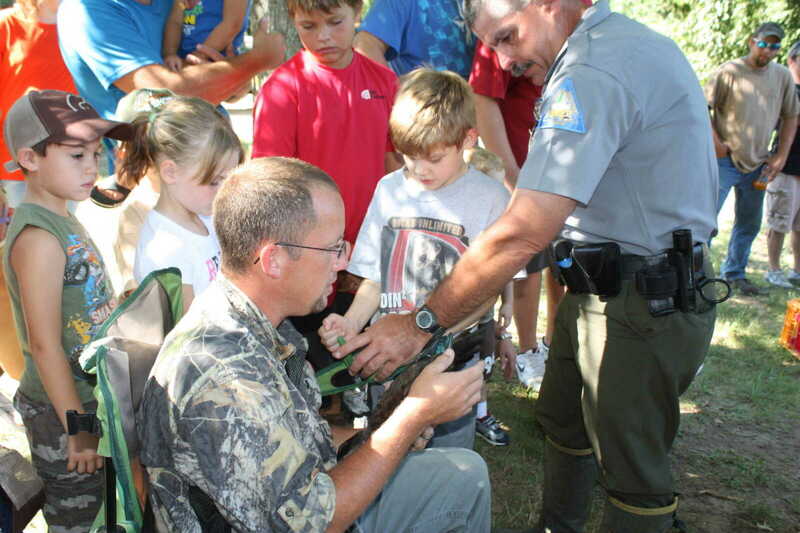 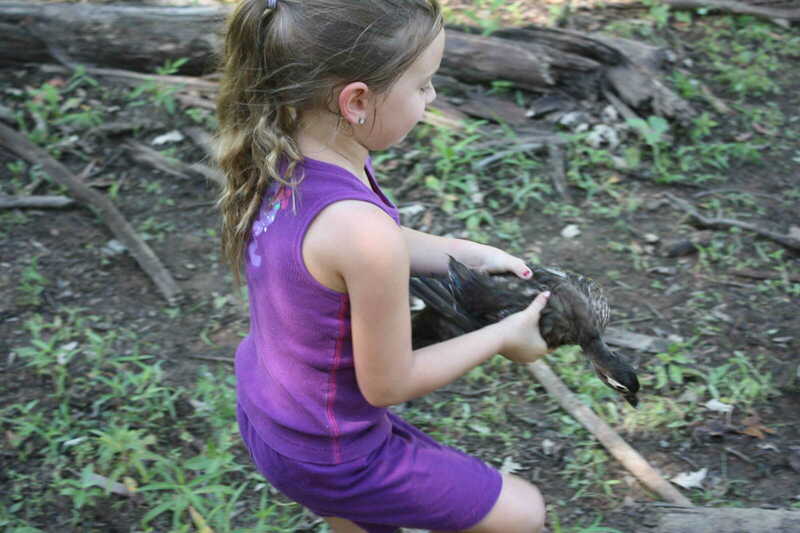 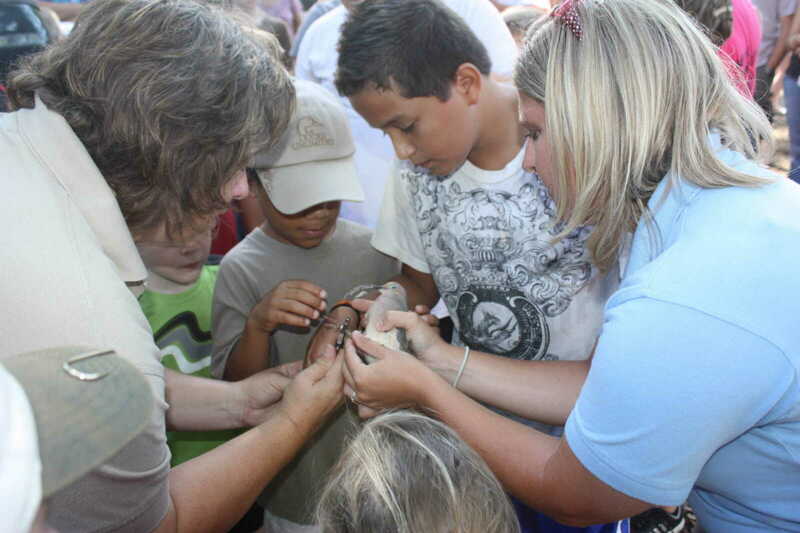 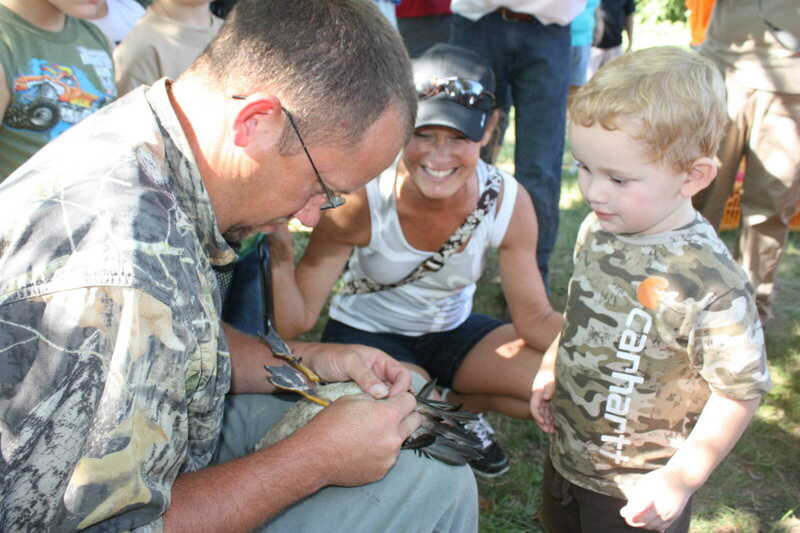 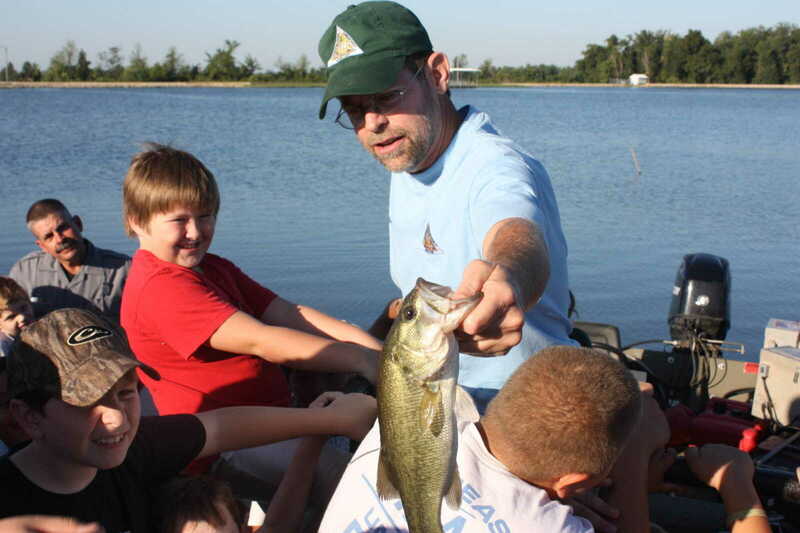 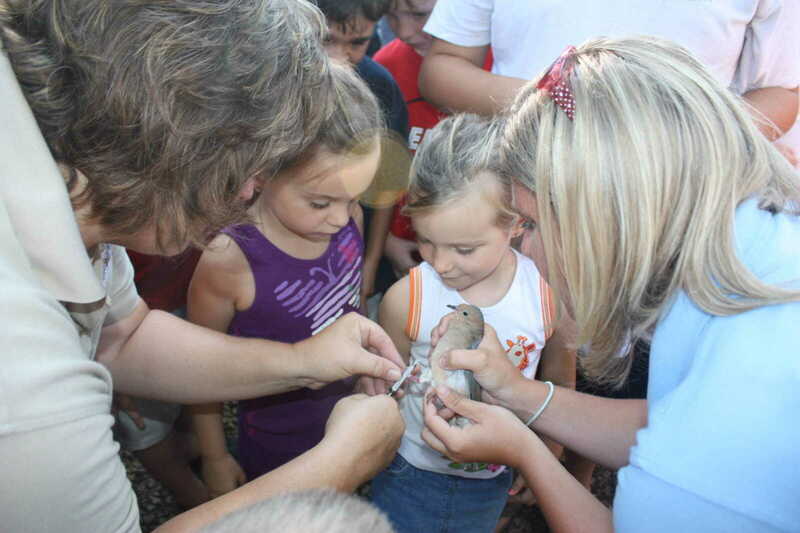 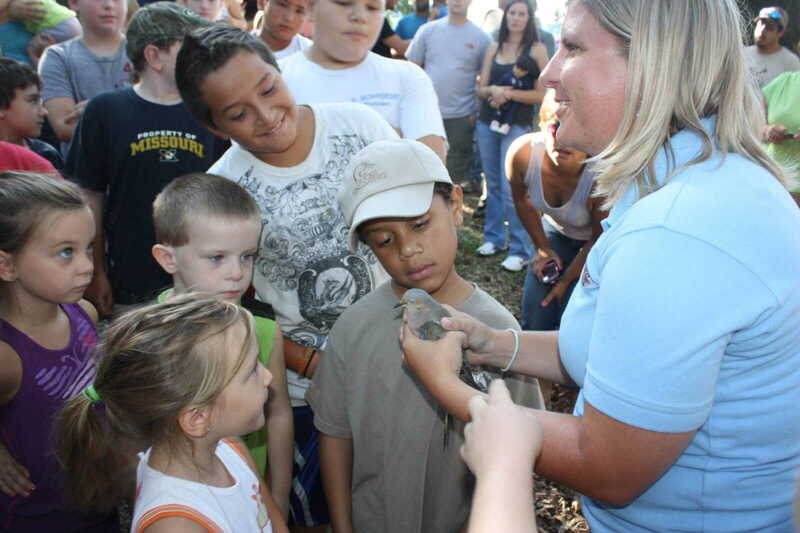 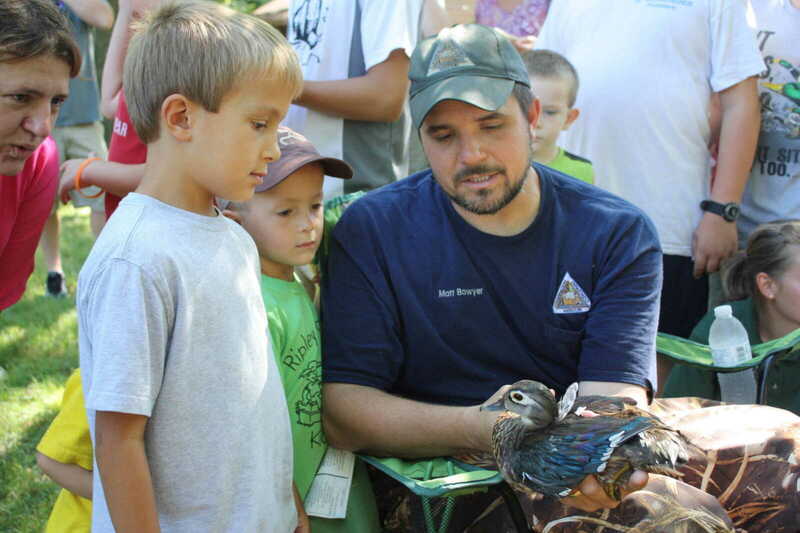 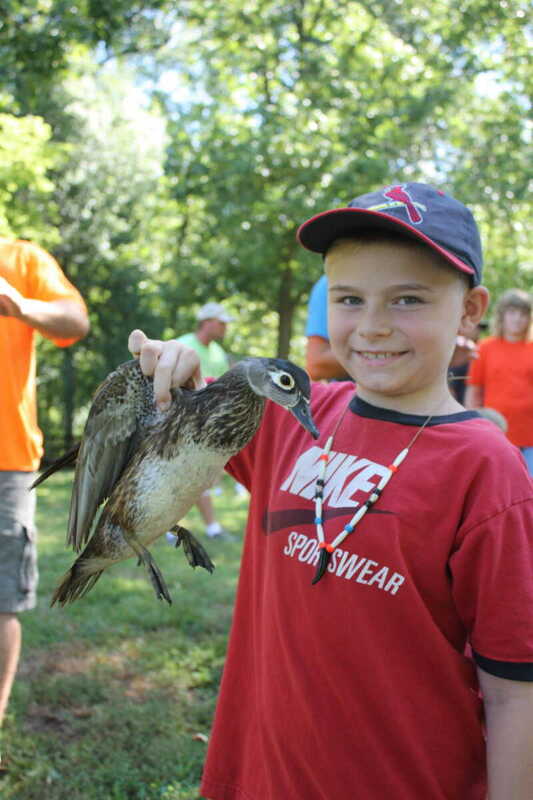 Record numbers attended the Saturday, July 28 bird banding event at Otter Slough located southwest of Dexter. 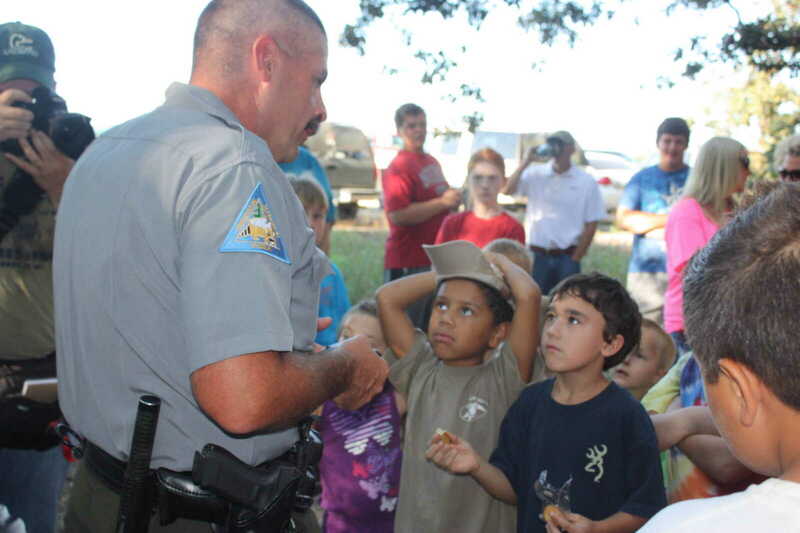 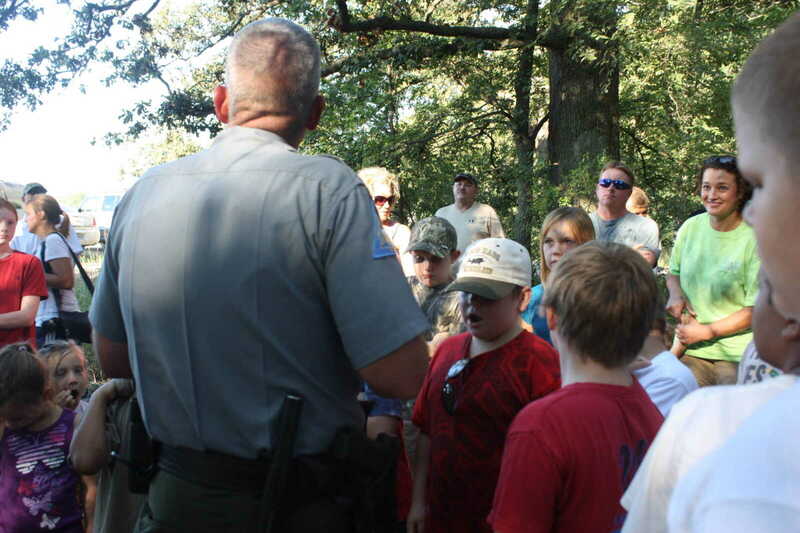 Children attending were each provided an opportunity to assist Dept. 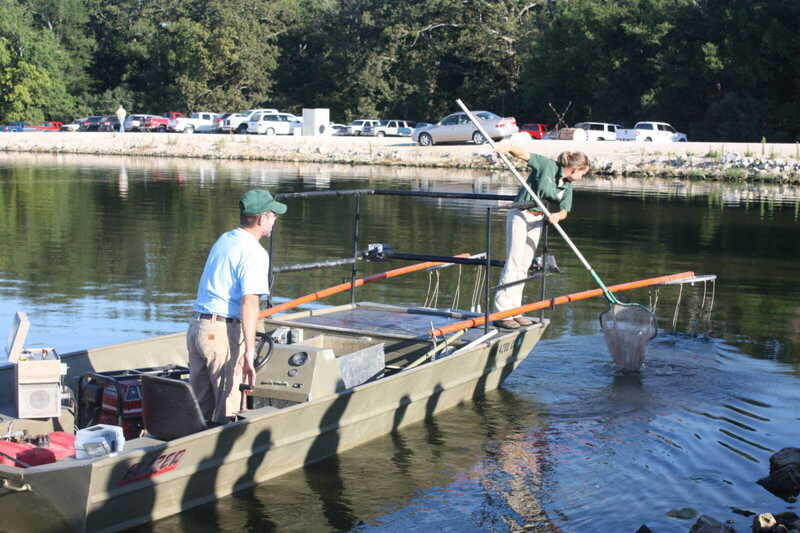 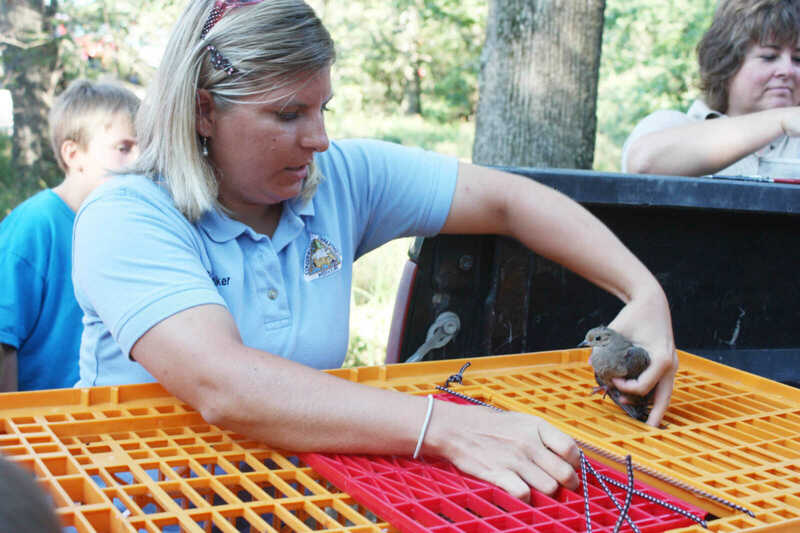 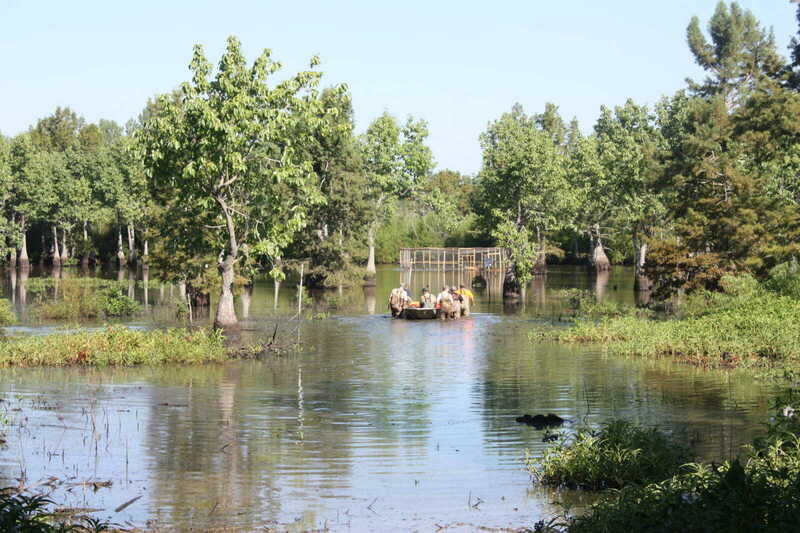 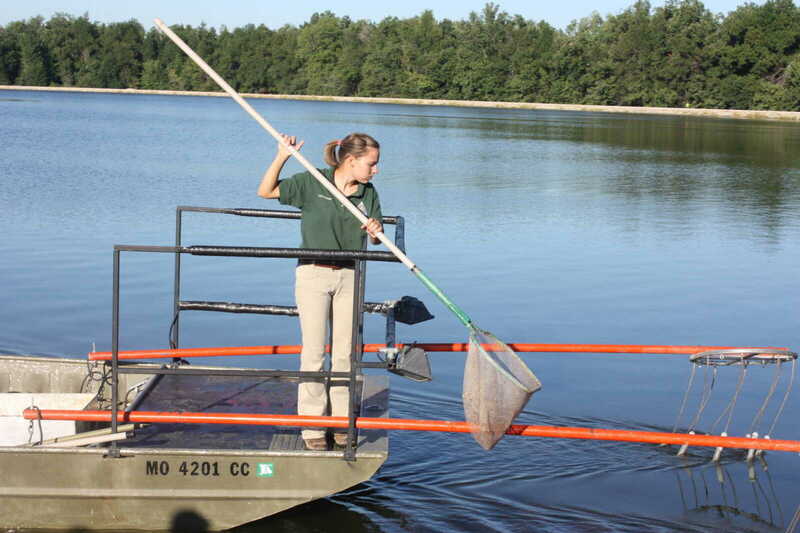 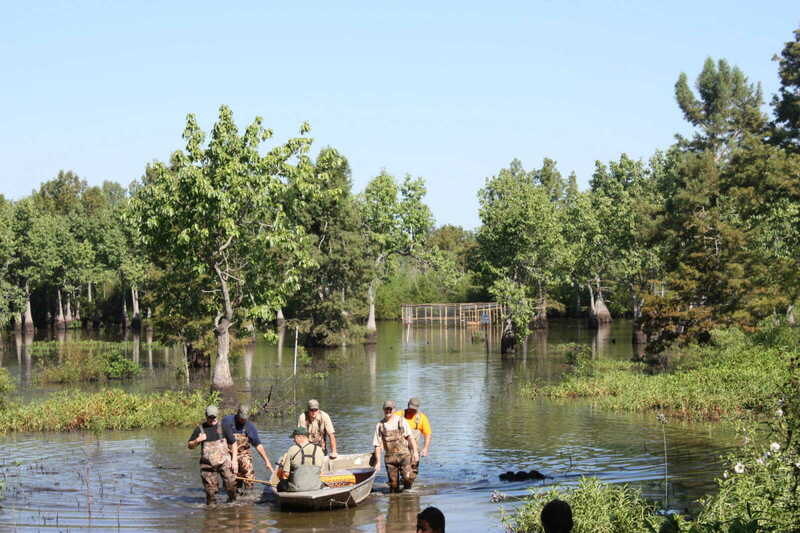 of Conservation experts in banding mourning doves and ducks so that the birds' habitat and longevity might be further studies and understood.